Hello dreamer! In our previous posts, we saw why you should get an international education, compared Masters and PhD programs, and even got to know about standardized tests. All this is valuable background research; but how do you actually go about it? Read on to know the exact steps you need to take to manifest your study abroad dream. Without a specific degree or program in mind, your study abroad plan must not start. Understand why you want to take up a particular stream of study, how it will help you in subsequent job search, and why it excites you. Remember, study abroad is just a means to an end – better career prospects and quality of life. So start with the big picture. After finalizing a field of study, research various schools and programs, from different countries, that suit your needs. Look at their eligibility requirements. Do they have any specific experiences, internships, or academic criteria? Also do not forget to look into the financial aspect, including program fees and living costs. Lastly, understand how their applications work – what to send, when, and how. Note that most application deadlines for August intakes are around December i.e. 8 months before the program starts. Almost all good programs will require you to take some standardized test. Understand what the specific score requirements are for your chosen program. Prepare well for these tests and take them about 2-3 months before you have to submit your application. Allow 2-3 months for the preparation as well. That means, your preparation for these tests must start 6-7 months before the application deadline. So plan your calendar well in advance! Transcripts are needed as a record of your academic performance. Some programs have specific transcript requests – e.g. they may want your college to send them the transcripts directly. Most programs, however, accept the transcripts that you send. So, research well and gather your transcripts accordingly. The best way is to check with your fellow college students who have gone through this/are going through this phase and learn how they went about it. This is the most crucial step of the application process. Essays are your statement of a few key facts – why you are a good candidate for this program, what your career plans post the program are, and why you feel excited about the school. Network with students currently studying in your target programs and learn specifics about the school that you can mention in your essays. Essays are short in length – about 700-1000 words mostly – but require substantial work. So start early. Some programs, like MBAs, have an interview as a necessary step. The interview revolves around aspects similar to the essay, but the objective here is to allow the applicant to make a case for himself and for the admissions committee to judge softer aspects such as interpersonal skills. This is the final crucial aspect of the process and a good interview is likely to seal the deal. The best way to prepare for interview is to practice and get feedback from qualified individuals. Don’t forget to network with current students and request them to evaluate your interview responses. 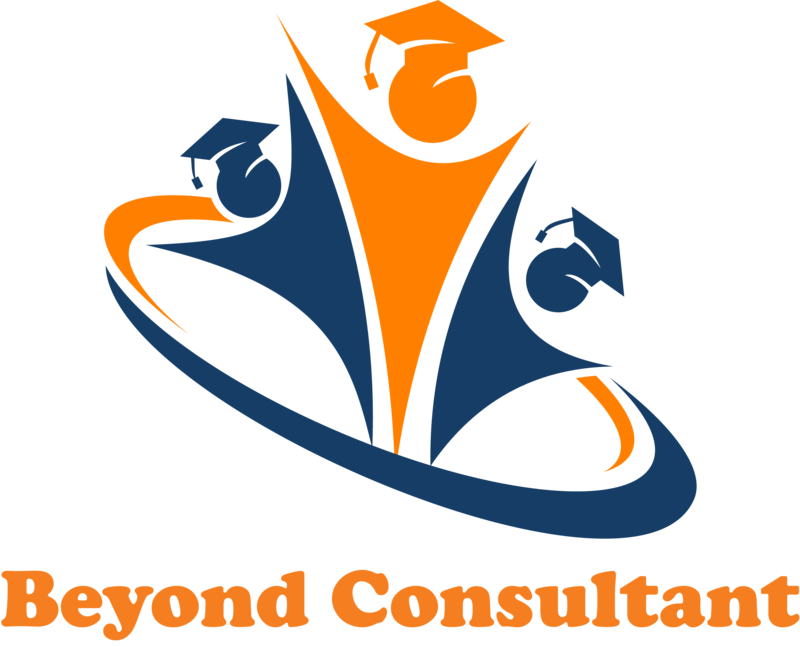 Beyond Consultant will be happy to help you in the essays and interview preparation. Please get in touch with us here to get your best-shot preparation by professionals who have ‘been there and done that. After the interview, in a couple of months, you get the final decision. If you are accepted, congratulations! You can now proceed with the visa formalities. Every country has a different visa process, but so long as you have an admission, getting student visas are not a big deal, unless you cannot show the required finances. This is why we covered financial planning right in Step 2! Visas are generally obtained 1-2 months before the program start date. Once you have a visa, you are all set. Now find fellow students who will be joining you in your program and seek help from current students for initial accommodation and set up. Do your packing, spend time with family and friends, and dream about an exciting student life abroad!